Delve into the fascinating history of Gatchina and Gatchina Palace on a private half-day tour. 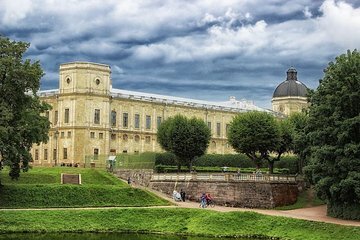 Set out from central St Petersburg for the town of Gatchina and its former imperial summer palace, which in many ways resembles a medieval hunting lodge. Learn about the palace's varied architectural styles while wandering its halls, home to hundreds of pieces of ceremonial arms and weaponry. Enjoy a revealing look into the world of Russian royalty with a visit to this intriguing imperial estate.